PHOENIX (KNXV) - The former boyfriend of an El Cajon woman found dead in Arizona was formally charged in her death. Late Tuesday night, 23-year-old Jon Clark was charged with first-degree murder and other charges in connection with the death of 19-year-old Kiera Bergman. Clark was previously arrested after detectives found evidence of identity theft and forgery while searching his car as part of the investigation into Bergman's disappearance. News of the charges against Clark did not come as a surprise to Bergman’s parents. 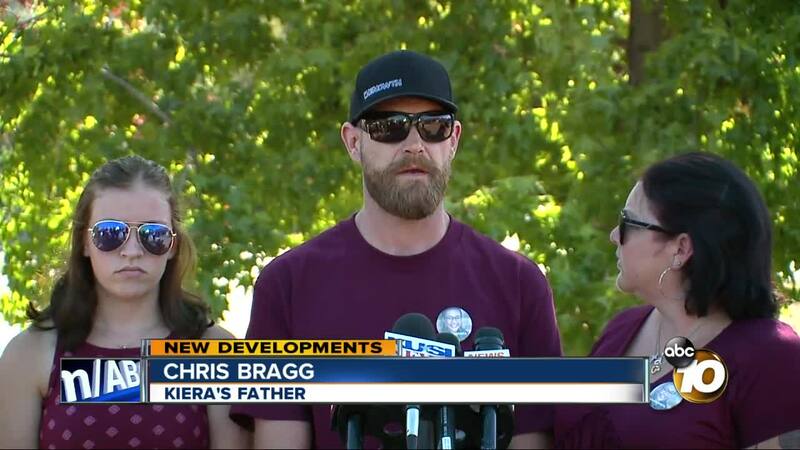 "We believed from the beginning he was involved, but without any information we didn't want to put him out there as a bad person without knowing some facts," her father, Chris Bragg, said. "I was relieved and in a way I'm happy," said Kiersten Bragg. "I pray that the situation opens up a lot of especially young women's eyes to the dangers that are out there and that you think twice before you get involved with certain people." Authorities announced earlier this month that a body identified as Bergman was found near SR-85 and Hazen Road, a remote area west of Phoenix . Bregman was last seen at her apartment on August 4 . Her disappearance gained national attention as friends, family and neighbors searched for weeks.